"Freedom is not a gift bestowed upon us by other men. It is a right that belongs to us by the God of Laws and nature." •	The top rocker is our club name, Iron Legacy. Our name shows our heritage to the club we established and built to be the largest independent law abiding motorcycle club in the world. The gold edging represents our values and principles that we consider to be priceless and we took our oaths to follow. 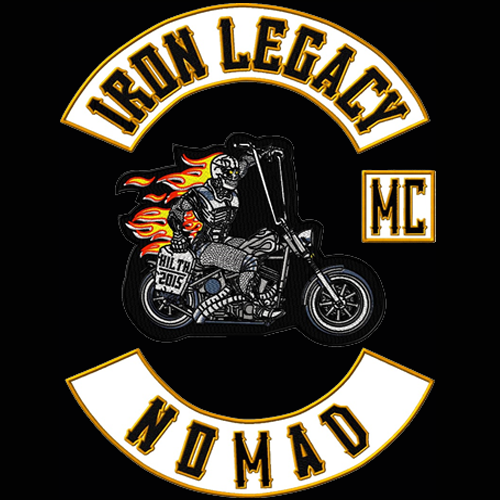 It stands for the brothers who stood up to establish the club and to the brotherhood of the Iron Legacy MC keeping our gold values and principles with us. 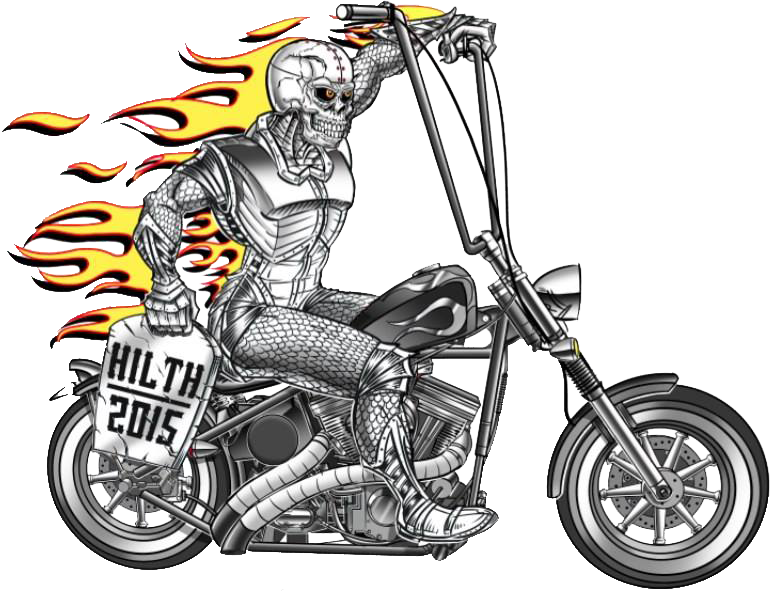 It is those founding principles HILTH, that guide our club in our every endeavor. Anyone can join a club. There are many thousands of clubs in the world. Only a few are chosen to belong to a Brotherhood. The Iron Legacy brotherhood belongs to our brothers and our brothers belong to the Iron Legacy. This defines belonging to a Brotherhood as opposed to being a member of a club. We are a Brotherhood and the gold holds that founding principle to our highest standard. 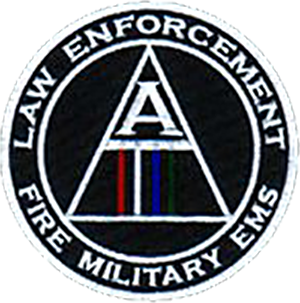 The square patch with MC in it means we are a Motorcycle Club as opposed to a Riding Club or HOG type organization. We follow the same traditions established by the original motorcycle clubs dating back to the 1950’s and 1960’s. The bottom rocker has the name of a State or a Nomad designation. The state rocker shows where that brother is from and shows we do not claim any territory or turf. The Nomad rocker is for those who report directly to our International Leadership. 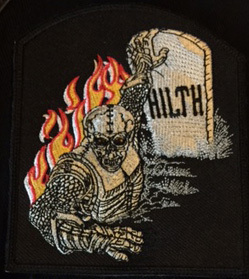 Our center patch is named “The Rider”. He represents all of us. The flames represents hell the Rider is riding out of to re-establish our principles and values by founding the Iron Legacy MC. That hell is the personal pain for every brother who made the decision to follow his solemn oath to keep those values and principles. 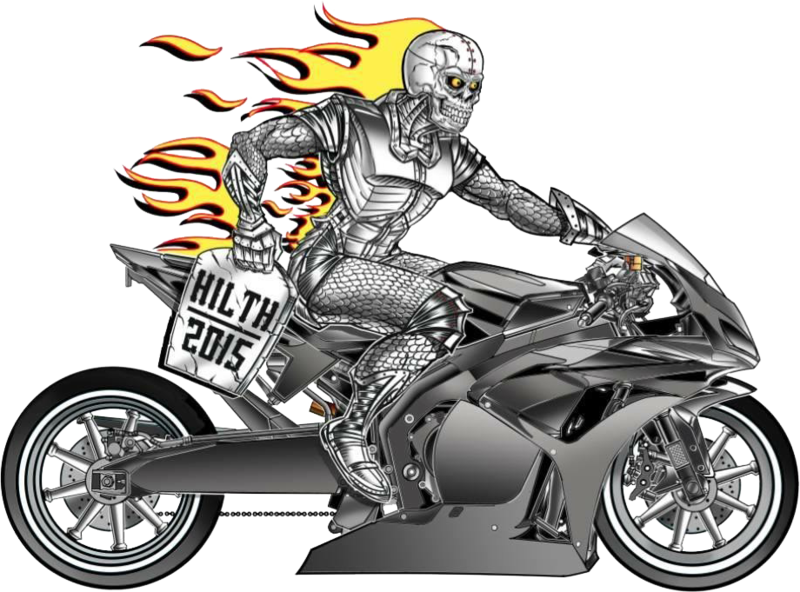 The letters HILTH on the tombstone in the hand of the Rider, represents our founding principles of Honesty, Integrity, Loyalty, Truth and Honor that are being carried off by the Rider to be resurrected in the year 2015 also found on the tombstone. It is our oath to these principles that created the continuation of the Legacy so they would never be forlorn by any brother again. The tombstone itself represents the fact that our original founding principles had been lost and buried. Those principles have been “resurrected” and are now carried forth by the Rider, never to be turned away from again. Our front patch is the Rider coming out of the grave taking hold of the tombstone representing our values and principles to carry them off on his chopper in order to bring them back to life in the Iron Legacy MC never to be allowed to die again.